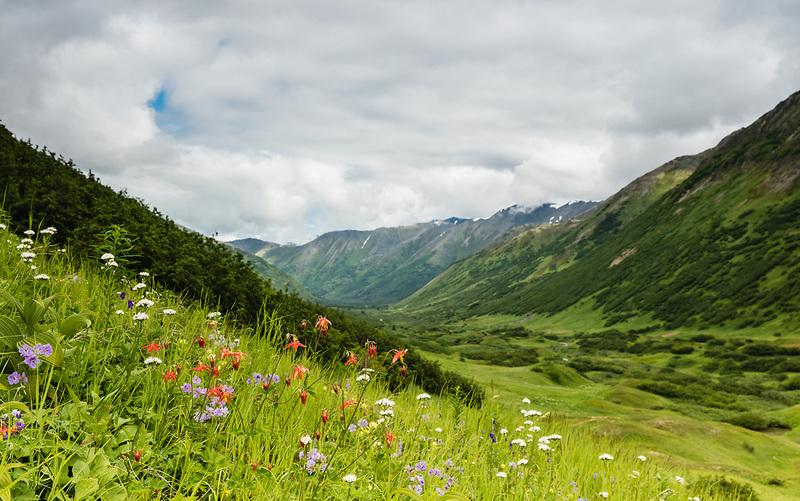 Field of wildflowers overlooking Palmer Creek Valley in Southcentral Alaska. Summer. Afternoon.